If you love Miles Davis and “Tribute To Jack Johnson” you will love this song, “Go Ahead John” from Miles “Big Fun” album. It’s a quintet without keys produced by Teo Macero who used state of the art (for 1970) electronics effects. And you can download “Big Fun” at the library using the Freegal service. So as a seasoned fan of many genres, you find yourself standing in front of a jukebox unable to decide what the heck to play. You’re torn between something bluesy; something soulful; something country; possibly a bit of pop or rock; or maybe even something jazzy. Let me make this easy for you - just play “Simple Case Of The Blues” by Rosie Flores. 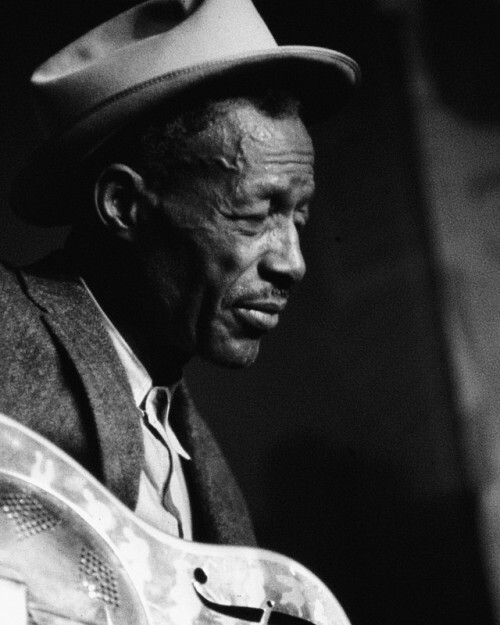 As Frank de Blase, of Rochester City Paper, so correctly put it - “So they’re calling it a blues record, huh? Well I’m here to tell ya it’s so much more”……so am I, Frank! 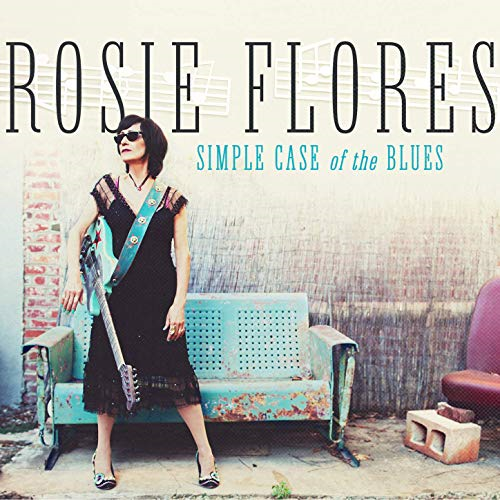 Making music for over four decades - and in what seems like twice as many genres - “Simple Case Of The Blues” is Rosie Flores’ thirteenth release. On it, Rosie - on vocals and lead guitar - is joined by: Kenny Vaughn on lead guitar; Charlie Sexton on rhythm guitar and percussion; Dave Roe on electric and upright bass; Jimmy Lester on drums; T Jarrod Bonta on piano and Wurlitzer; Michael Flanigin on Hammond B3 organ; Cindy Cashdollar on lap steel guitar; Greg Williams on saxophone; Kevin Flatt on trumpet; Paul Deemer on trombone; and Robert Kraft, Sheree Smith, Michael Hale and Angie Kogutz on background vocals. The album features eleven tracks with Rosie having a part in penning three, and the rest a mix from notable names from various musical arenas. According to the lyrics of Roy Brown’s “Love Don’t Love Nobody” - some of which refer to love as being the devil and being the cause of his downfall - he really seems to have had one hell of a bad experience. 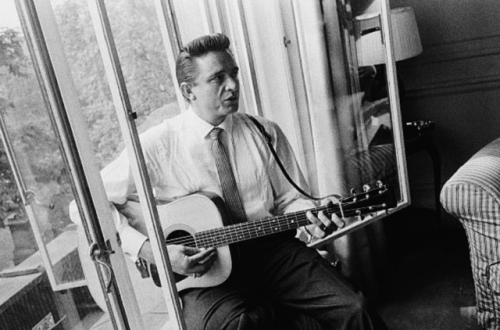 That said, putting those heartaches to music did account for a damn good blues song. This smokin’ shuffle features hip-shakin’ rhythm; prominent piano leads; dazzling, dual guitar leads; and Rosie belting it out like it is her story being told. So with her emotional and heartfelt vocal presentation on “Mercy Feel Like Rain” (Cowie/Close), I’m finding myself hoping that Rosie’s visit to blues turns into a long and prosperous one. Between those scorching vocals and her stinging guitar leads, this spiritual ballad is right in her wheelhouse. She’s stressed, depressed and really a mess; She’s dazed, crazed and a little amazed; She’s disappointed and her heart’s blown a fuse; on this original track, all of Rosie’s relationship woes add up to a lot more than a “Simple Case Of The Blues”. “Till The Well Runs Dry” (Wynona Carr) is definitely one for the dancers and with Rosie sounding like a blend of a handful of fifties pop stars, those dancers may just feel like doing the mashed potato, the twist, the watusi or the monkey. The smokin’ horns and lively backup vocals give this one a big push. Taking Dwight Yoakam’s “If There Was A Way” and turning it into a fifties style soulful and bluesy ballad was pure genius on Rosie’s part. Showcasing deep emotion, pure power, amazing range, and complete control, this was by far her best vocal performance on the disc. Kudos are also in order for the heavenly backup vocals, the outstanding guitars, the intense rhythm and Cindy’s masterful lap steel highlights. Kiss her, hug her, love her - often - and don’t let her have to tell you twice. “That’s What You Gotta Do” (Odom/Baron/Wilshire) if you want Rosie to be your baby. Sounding sassy, sultry and stern, that sounds like an offer you shouldn’t refuse. The swing dancers will be all over this one. Great horn and piano highlights. This original track is titled “Teenage Rampage” but band rampage could have also sufficed. It’s one of those kinds of songs where the band seems to be playing it more for their own amusement but everyone else loves it as well. It’s just a bunch of good musicians rapidly cutting loose and having a good ol’ time. The disc closes with a version of Wilson Pickett’s “If You Need Me” and as I’m sitting here being blown away I’ve come to the conclusion that I want to hear a full album of Rosie Flores doing these old school, fifties style R&B songs. Whatchya think, Rosie? Other tracks on this dynamite disc include: “I Want To Do More” (Leiber/Stoller), “Drive, Drive, Drive” (Flores/Gladstone) and “Enemy Hands” (Roe/Alford). For more about Rosie Flores, just visit her at www.rosieflores.com; for more on the label check them out at www.lastmusic.co.uk; and should you need a copy of “Simple Case Of The Blues” for airplay, just email Lisa Best at lisa@lastmusic.co.uk. Whomever it is you visit or contact please tell them the Blewzzman sent you. 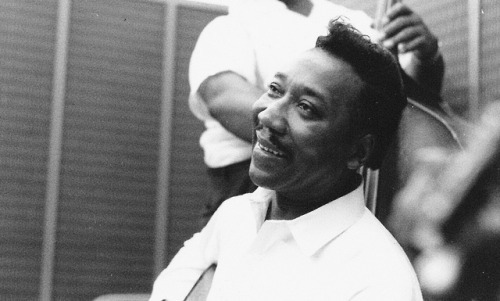 Short interview with James Brown’s Bassist, Fred Thomas. He’s got some nuggets of wisdom and a deep groove! This item belongs to: etree/TheAndyCoeBand. Live Recording of The Fat Catz at The Lonely Goat Family Reunion.. This item belongs to: etree/Drive-ByTruckers. Late night set at Cloverlick Earth Day Celebration.. This item belongs to: etree/TheHighRoadHome. Buffalo, NY *Ween **Frank Zappa. This item belongs to: etree/Swimmer.